If you’re looking for a gift to thank your four-legged friend for their unconditional love and companionship, we round up 10 present ideas that your doggo will love this Christmas. 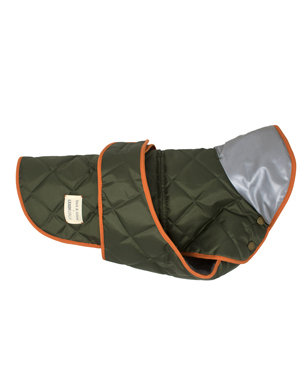 Treat your dog with a coat that will ensure they’re both stylish and safe, with this incredibly smart, quilted olive green number. Bringing an urban edge to this classic country style is a popping neon orange trim, and for safety, it has a silver reflective collar made from genuine Scotchlite Reflective material to enhance visibility of your dog at night-time and in low-light conditions. 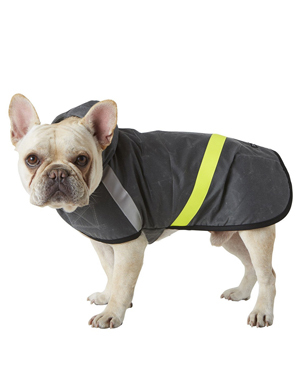 There’s also a soft Sherpa fleece lining to keep your dog nice and warm in the cold months, and it’s water resistant too! Presented lovingly inside its own branded gift box, this silver and gold rope lead is a Christmas present that’s built to last and with a host of different ways to wear. 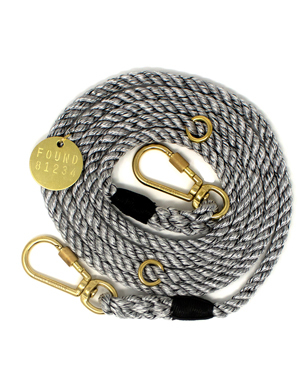 Made from 100% strong nylon designed to cope with the toughest of tuggers, it has moveable brass O rings so you can adjust your dog’s lead to a length that suits your walk. It can also be adjusted to fit round your waist or wear cross body should you need to multi-task. 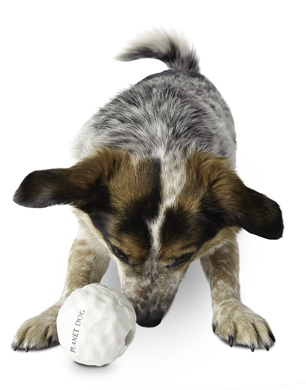 Your dog will not care if it’s a White Christmas or not if they find this ball of fun under the tree. Featuring all the merits of a fine dog ball – durable for any over-zealous chompers, buoyant for chasing into water, bouncy for the element of surprise and minty to keep one’s breath smelling fresh for guests, your dog will love chasing this non-melting snowball. For the hip hound in need of new outerwear to retain their canine cool creds, wrap them up this in this retro inspired waxed canvas dog coat. Designed to block the wind and rain, it has an organic cotton Sherpa lining for warmth against the chill, a hood to avoid bad fur days and an array of reflective shades for doing high vis right. 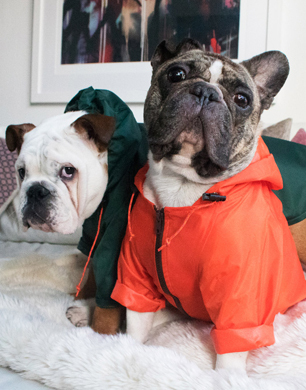 For adventure hounds, who love stepping out no matter what the weather, this fun and functional raincoat is a great gift to bolster their outdoor essentials kit. Durable and with standout style, it’s lightweight and easily foldable to carry in your pocket or bag on walks or days out, and slips on and off your dog easily. 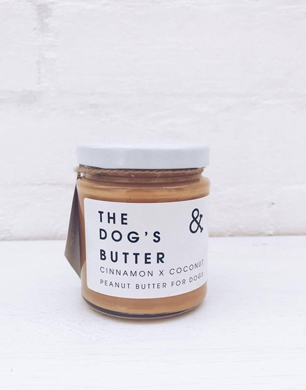 While many festive foods are off limits for dogs, this jar of lip-smacking tastiness most certainly isn’t and your dog will be think all his Christmas’ have come at once when you twist open this jar of peanut butter for dogs. Made with three ingredients only – organic peanuts, organic coconut oil, organic cinnamon, there’s no extra nasty stuff to worry about. Just be sure not to snaffle it for your toast – your dog will never forgive you! Whether it’s a gift for your dog, or someone in your hound and human circle, they’ll be delighted with this gorgeous gift set from MALIN+GOETZ, which includes premium Dog Shampoo, a Green Leather Dog Collar and Lead from London pet brand Fetch & Follow (three sizes available), plus travel size packs of Peppermint Shampoo and Cilantro Conditioner for the owner. Making this gift extra special is the £1.66 Battersea Dogs & Cats Home will receive for your purchase. 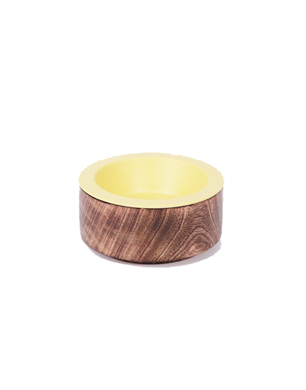 Give your dog the five-star dining treatment with the aesthetically pleasing doggy dinnerware fashioned from Sheesham wood, cork, bamboo fibre. 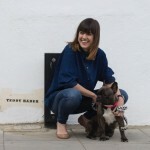 An incredibly stylish add to your dog’s dwelling and your home, you’ll be anything but embarrassed when guests stop by if this is out on show. Can’t decide between yellow, pink, blue or grey inner? Take the stress out of choosing by opting for The batch of 4 BRUMMY too and add even more variety to your pups mealtimes. 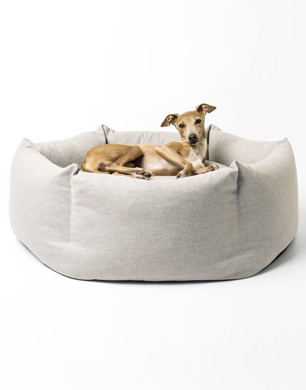 Christmas is for lounging and for the ultimate snooze pad for your dog, look no further than the new Ducky Donut Dog Bed from luxury dog company Charley Chau. Getting its name from the ethically sourced duck feathers the bed gets its comfort from, your dog can pound it until it’s ‘just so’, bed down for a nap and when they’ve finished, the Ducky will return straight back to its plumped up state. Worthy of your investment, the bed is fully washable, made from durable upholstery fabric to perform over time and comes in a choice of five colours to suit your interiors.